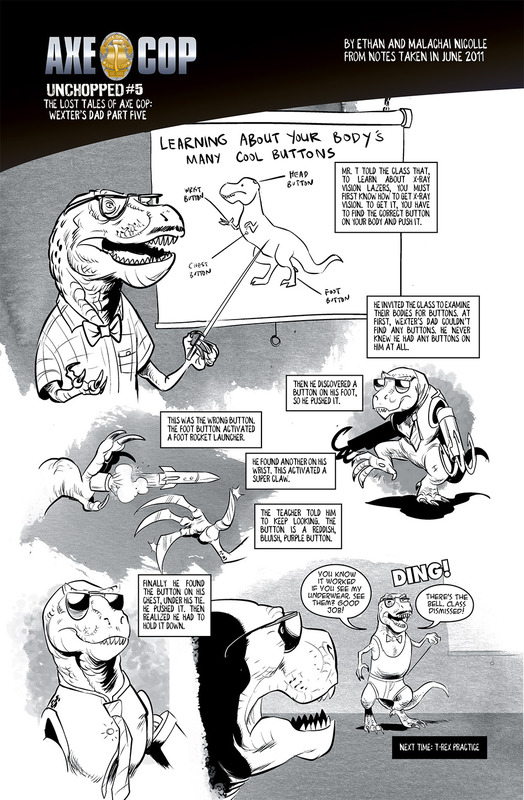 And on we venture into T-Rex school. Wexter’s dad learns all sort of amazing things he never knew about his body, mainly that it is covered in secret, naturally occurring buttons. Did you know the tyrannosaurus rex has a foot rocket launcher? You didn’t? Looks like you went to the wrong school. Next time we will see what t-rex recess is like. I am so delighted to be seeing these again. 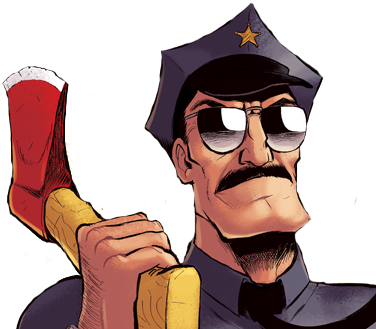 I guess I’ve literally been enjoying Axe Cop for years. Time flies. I’m so glad I decided to randomly check this page today! Also, I can’t help but think that this is a metaphor for something. When is the next episode coming out? I have an insatiable thirst for t-rexes! I am so glad watched the TV series and then read this, it’s brilliant. nice i also like it . The illustration above is seriously amazing. I used to draw a lot back in school but nothing like that. Now I’m a builder… Oh well, you live and learn lol.